Croxteth Community Primary School is part of the Rainbow Education Multi-Academy Trust. This is the admission authority for our academy. We follow the Trust’s admission policy, which takes full account of the guidance in the School Admission’s Code of Practice and of the 2010 Equalities Act. 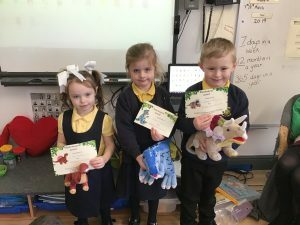 At Croxteth Community Primary School we are dedicated to ensuring that children are made to feel welcome and have the best start to their educational journey. This is regardless of what time of year or which year group the pupil is entering. All families have the opportunity to visit the Nursery before requesting a place. We give priority to looked after children and those who are eligible for the Early Years Pupil Premium, those who have other siblings in school and according to the distance they live from school. Children are eligible to join Nursery from the term after their 3rd birthday. This, however, is dependent upon the availability of space for five 3-hour sessions. Transition into our Nursery is different for each child, some children settle quickly and are ready to attend for their full entitlement straight away, others may need to build up the time they spend at Nursery and may require a parent/carer to stay with them for the first few sessions. To apply for a nursery place, parents/carers can call into the office for an admissions form or log onto the school website at www.croxtethprimary.co.uk and download a form to print off. Once a form has been completed, this must be handed into the school office with the child’s birth certificate. The school will inform parents/carers of a proposed start date. All admissions are in accordance with the Trust’s admission policy. Published trust-wide criteria will be used if there are more applications than places available. Again, we give priority to looked after children and those who are eligible for the Early Years Pupil Premium, followed by those who have siblings in school and then according to the distance children live from school. If we are oversubscribed, we will apply our over- subscription criteria fairly. If you are not offered a place, you are entitled to appeal. Admission for in-year transfers is dependent on space within the cohort requested. Both KS1 and KS2 maximum allowance is 30 spaces per class. This is due to the amount of space available and number of staff employed. In the event of there being no space available within a specific cohort, the pupil will be added to the waiting list in order of request. Only pupils with the school named in their EHC plan, other siblings in the school or LAC children will be fast-tracked to receiving a place. We know that each child is different and so our admissions arrangements are flexible to suit the needs of individual children and their families.